Family Reach loves finding ways to bring our community together. 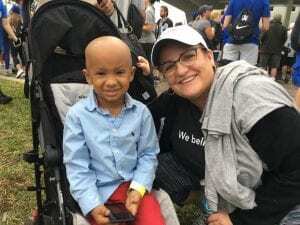 Through genuine connections and conversations, we are able to spread our mission and make a tangible difference in the lives of families fighting cancer. We are excited to support a new group of Reach Athletes as they prepare for the Napa-to-Sonoma Wine Country Half Marathon this summer! We have members from all corners of our community coming together – staff, families we’ve assisted, board members, friends and supporters – for this race and our hearts are filled with gratitude to see our mission come to life in such a unique and powerful way. Over the next few months, several participants will share what inspires and motivates them as they take on this journey! We are proud to showcase our staff members in today’s blog. Amanda is the Community Engagement Manager at Family Reach and has poured her time and energy into expanding our Reach Athlete program. Despite the fact that her last long-distance race was nearly 10 years ago, she jumped at the opportunity to join our Napa team. Amanda has immersed herself in the modern running world, finding new apps and engaging with supporters through social media. She is embracing the mindset of a Reach Athlete and helping others do the same. Rosie is the Director of Partnerships and Marketing at Family Reach. 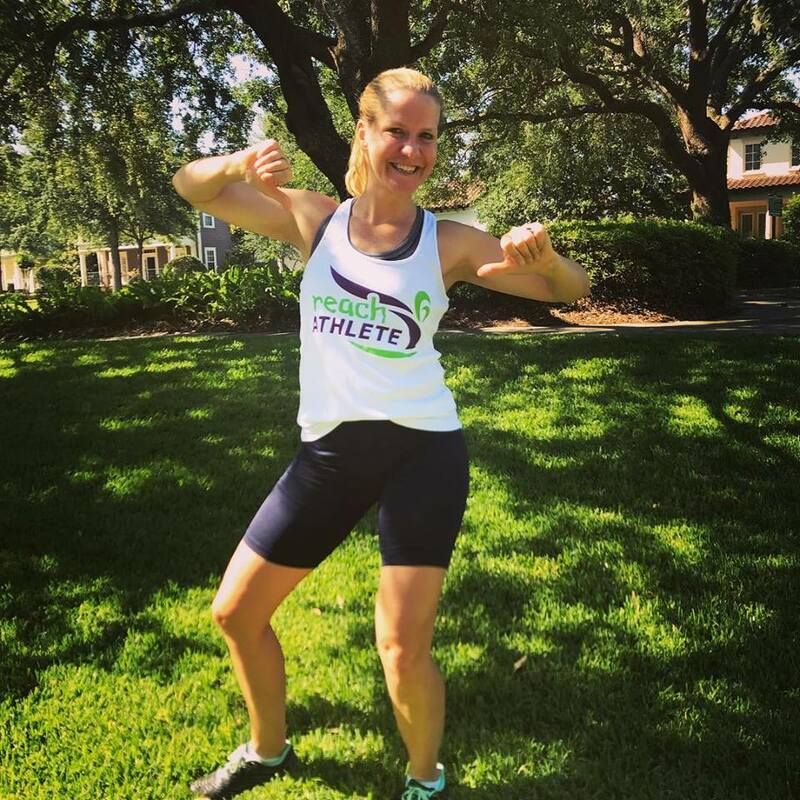 She has seen many of our Reach Athletes take on challenging, endurance-based events. This sparked something inside of her and she is now training to run her first long-distance race in Napa! Rosie has realized a big part of athletic success is more mental than physical. Your internal narrative can make all the difference in overcoming obstacles. Carla Tardif is the CEO of Family Reach and believes there is no better purpose in life than to help others. 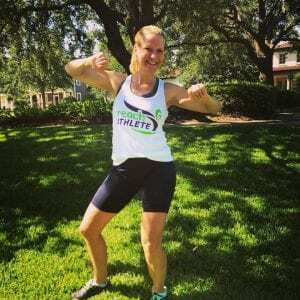 After running the Boston Marathon in 2012, Carla was satisfied at having hit her goal and hung up her running shoes. That all changed when she saw the excitement surrounding this race and decided to once again hit the pavement. 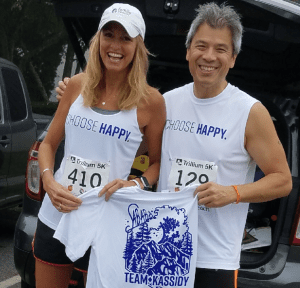 This race embodies everything Carla loves deeply – her family, Family Reach and running. Susan with one of our cancer heroes! Susan is the Senior Development Manager at Family Reach. Throughout her three years here, Susan has admired our Reach Athletes and how they push themselves in honor of our cancer patients and their families. She describes herself as the “ultimate cheerleader,” never thinking she’d be the one racing to the finish line. Within a week, Susan proudly announced to the team that she was indeed going to run. “If only I had a camera to record the shocked and surprised expressions on everyone’s faces!” says Susan. Her excitement has continued to grow as her training advances and she has found running to be a great stress reliever. Do you want to join us for this once-in-a-lifetime opportunity? Contact Amanda at abruneau@familyreach.org today!